In just a couple of months Emma Kocbek’s hard work, commitment and determination will finally come to fruition when she officiates her first ever W-League game. Following an extensive and gruelling selection process that dates back to last year, the 21-year-old was recently selected by the FFA to be an Assistant Referee in W-League matches this upcoming season. The Werrington County resident has only been involved with refereeing for five years, but the impression she has made during that short time gave FFA officials literally no choice but to give her a chance to shine on Australia’s biggest stage for female footballers. Speaking with the Weekender, Kocbek said she was overcome with emotion when she learned she had finally made the cut. “I was told over the phone and I cried,” she recalled. 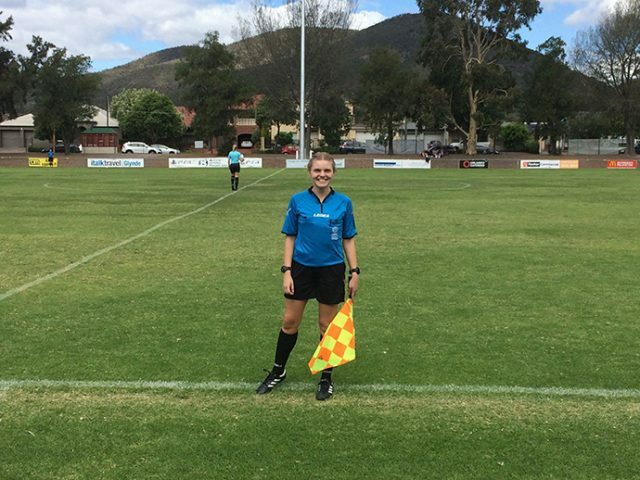 Kocbek began refereeing junior games as a favour for her local football club, Penrith RSL, before joining the then newly established Nepean Referees Group in 2014. Kocbek never thought she could make a career out of refereeing but others certainly did. 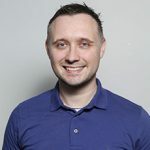 “I was advised by Graham, the boss of the Nepean Referees Group, of the various pathways for female referees and that I could go anywhere with it,” Kocbek said. If the pressure of being a referee wasn’t enough, Kocbek was watched like a hawk by referees assessors and coaches every time she officiated a game. She also had to complete numerous fitness tests, pass Laws of the Game exams and travel all over the state to showcase her skills. Kocbek impressed, passing ever test with flying colours. She was then added to one last short list, where she waited and waited before she was finally given the life-changing news she was in. “FFA comes out with a list of people that are being looking at to referee both the W-League and A-League,” she said. Fortunately, Kocbek was one of the best and was subsequently chosen. To get her prepared for what’s next, Kocbek spent the weekend at a pre-season seminar in the nation’s capital, where she learned exactly what to expect during the season ahead. And while the W-League is a major achievement in her career, Kocbek has dreams of going even higher. “My ultimate goal is to get my FIFA badge, which will allow me to do international games, and to become an assistant referee in the A-League,” she said. With Kocbek’s commitment, passion and desire, anything is possible.